first blood for the New Year. Today’s email brought a proof copy of an interview of me by Amber Polo, to appear on her Wordshaping blog on January 9. If you’d like to know what my favorite books are, or what I’d do on a desert isle, here’s one place to find out. I have offerings in both the poetry and prose categories, with sonnet “What’s a Zombie to Do?” and a piece of flash fiction, “The Shackles.” The latter, a homage of a sort to Gloria Holden in the 1936 movie DRACULA’S DAUGHTER, was also third place winner in the Ligonier Valley Writers Flash Fiction Contest for 2009. Christmas week brought two extra presents for me. First was an acceptance last Wednesday by Nightfall Publications of a flash story, “Penny Dreadful,” for the upcoming horror anthology FROM SHADOWS AND NIGHTMARES. Then this Monday brought an acceptance from Untreed Reads for “Vanitas,” originally published in ALFRED HITCHCOCK’S in 1996, for a stand-alone electronic edition. I had sent the latter in response to a call for steampunk and steampunk crossover stories in that it has to do with a steam-powered church organ, though taking place in a real world 19th century New England, while the former, concerning zombie love, was sent on request from the publisher of “Ah, Liberté” in THE WRONG SIDE OF THE LAW, noted two postings below. Then on Christmas Day itself, between overeating, listening to carols, and opening presents, I wrote a new story (albeit based on a poem to come out in my VAMPS poetry book from Sam’s Dot next year), “Naughty or Nice?,” about a female vampire who, if mistrusting at first, comes to an understanding with Santa. Shopping done, time to kick back and relax a bit before the next task. How better to do that than with a nice story? So herewith, in honor of the season, “The Christmas Vulture” from issue #3 of UNTIED SHOELACES OF THE MIND. 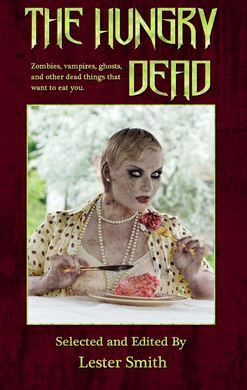 Just click on the magazine’s name and enjoy — and while you’re there, you might check out the archives for two more stories by me in issue #1, “Koko’s Rabbit” and “Undying Love,” the latter of which addresses the age old question: What must a young woman do to gain a zombie’s affection? Best to all for the holidays! An early Christmas present for me was the receipt today of THE WRONG SIDE OF THE LAW, just off the press from Nightfall Publications, a quirky anthology of crime stories by (quoting their blurb) new, established, and returning authors. Mine is a very short piece, “Ah, Liberté,” a tale set in Paris on la quatorze juillet, and a just-released man who perhaps takes the ideals of la Révolution too much to heart. In all there are twelve stories and a novella, so new they haven’t even had time yet to post a picture of the cover for me to (ahem) steal to share here. FALLEN: AN ANTHOLOGY OF DEMONIC HORROR should be out from Northern Frights Publishing either this month or early next year. Somewhat of a rarity of mine, “Pavlov’s Dogs,” originally published in GATEWAYS (not to be confused with the more recent DOORWAYS MAGAZINE) and long out of print, is in the lineup and, judging from the quality of other of Northern Frights’ anthologies, the book as a whole should be a great read. Another story of mine, “The Candle Room,” is already out in their anthology WAR OF THE WORLDS: FRONT LINES. 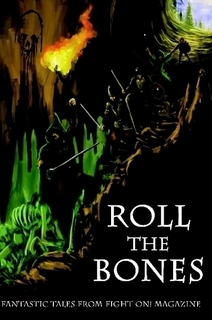 Then ROLL THE BONES is an anthology that I understand will be published just after Christmas by FIGHT ON! magazine. My entry here, “The Walking,” is one of a series of stories set in the far-future, dying world of the Tombs. Another Tombs story, for those interested, is in my STRANGE MISTRESSES collection while three, including “The Walking” as noted above, appear in DARKER LOVES. This too should be an interesting anthology. As of now it’s not yet officially advertised, but most likely will be available through Lulu.com when it’s ready. How’s This for a Cover? What attracts me most, especially with snow on the ground outside and Christmas carolers on the TV, is the twisted Dickensian look to the gentleman with the hat. 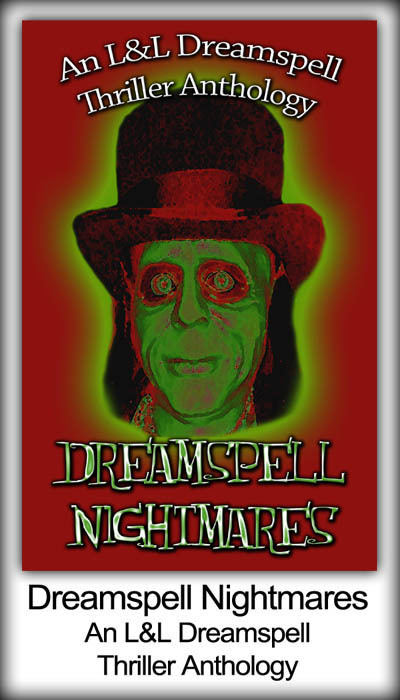 DREAMSPELL NIGHTMARES is a potpourri of twenty dark stories from L&L Dreamspell Publications, available now as a trade paperback or in various electronic formats. I’ve a dog in this fight myself, of course, a 5000-word, multiple point of view crime tale, “Pre-Owned Jeans,” with a paranormal bent, a “revenge of the victims” through non-standard means — which, come to think of it, is probably the only way retribution can be obtained when the victims in question were murdered. But what reward might be in store for those who do the deceased’s bidding? I might also mention at this point that I have a poetry book, VAMPS (A RETROSPECTIVE), announced as coming in 2011 from Sam’s Dot Publishing. As the title suggests, the subject is vampires. (Just when you thought it was safe to go out after dark without a scarf.) More details will be forthcoming as things firm up.